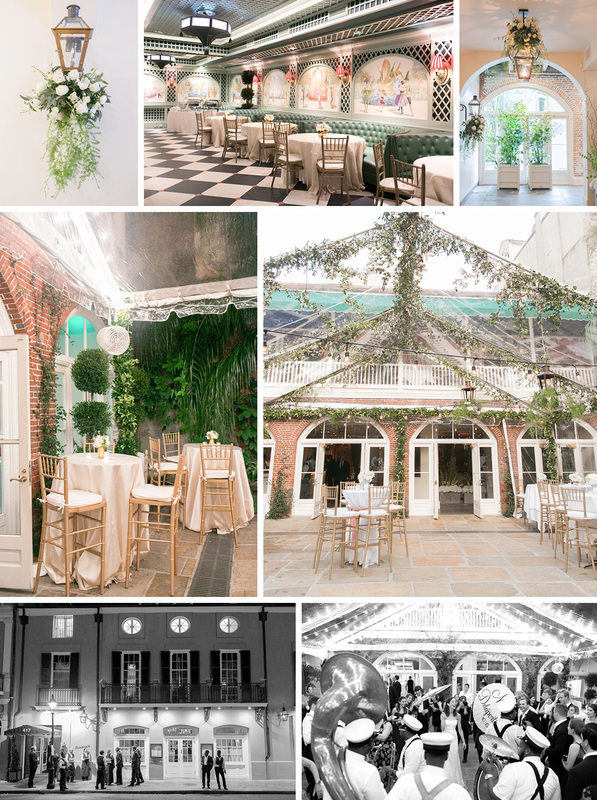 The French Quarter courtyard weddings mentioned below are some of the more popular venues in the Quarter, but by no means is this a list of all of them. These are some of our favorites that we think photograph beautifully, and the space is well utilized. 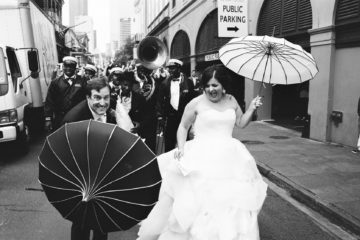 We’ve also added a few honorable mentions that are in very close proximity to the French Quarter. 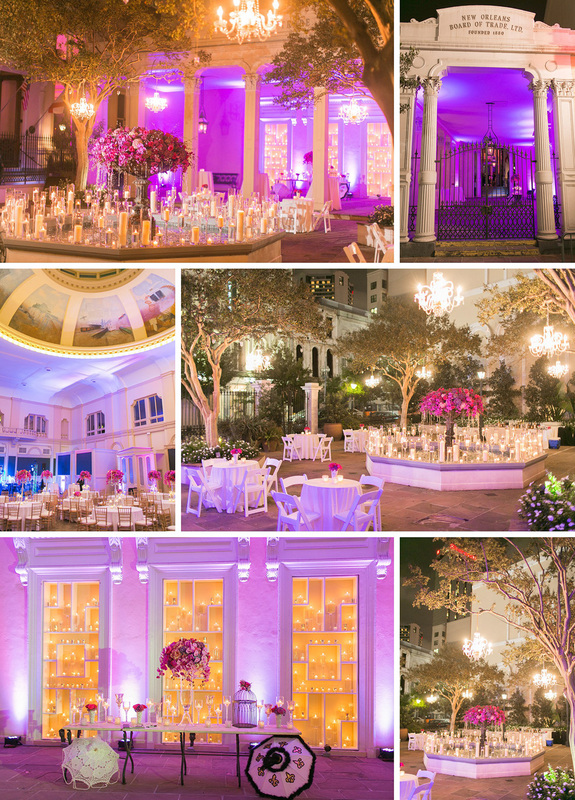 We hope this guide will put you on the right track to planning your courtyard wedding! Enjoy! Unique Elements: The courtyard is newly renovated to provide more uninterrupted space. The new look is exquisite! Additional Information: A customized tent is available as a rain plan. It is $2500 and can be cancelled up to 72 hours before the event. Unique Elements: Elegant courtyard with a European style fountain as its centerpiece. Additional Information: A retractable canopy is available for no additional charge in the event of inclement weather. There are also two cooling units for hotter months and mobile heaters for cold weather months. Unique Elements: The charm gates at the 613 Royal entrance were wrought in Spain especially for The Court of Two Sisters. Legend says that Queen Isabella of Spain had them blessed so that their charm would pass on to anyone who touched them. Additional Information: Largest outdoor dining courtyard in the quarter. No tents are allowed due to canopy of Wisteria vines covering courtyard. Rain plan: move into terrace dining area which can accommodate up to 300 guests. 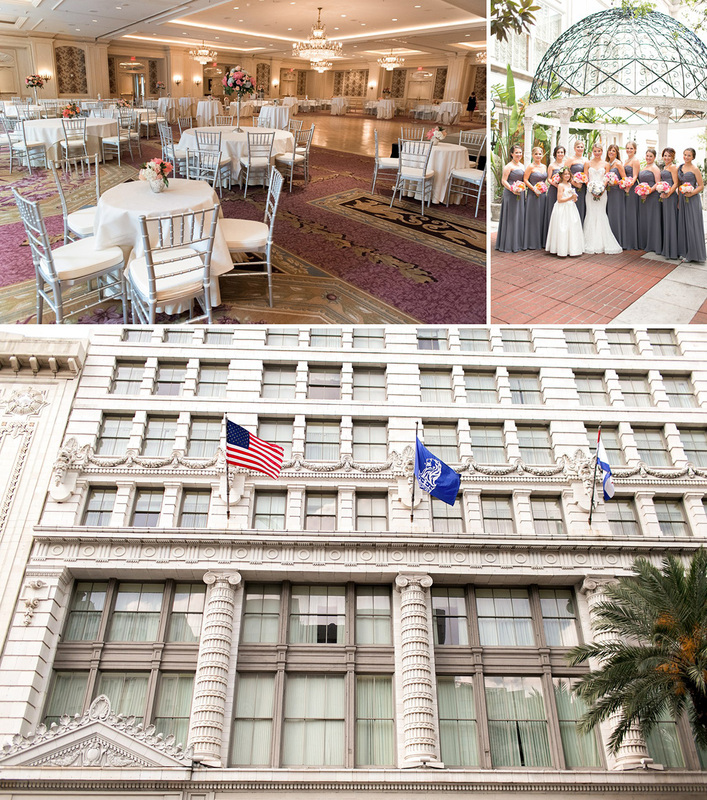 Unique Elements: Get married in the iconic spot of New Orleans with the St. Louis Cathedral as your backdrop! 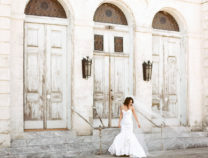 Additional Information: The square does remain open during your wedding, but only one permit will be issued during the time of your booked event. Unique Elements: Built in 1826 by architect Francois Correjolles. House rental includes parlor, ballroom, library, loggia, grand center hall, front and rear galleries, courtyard and parterre garden. Cost Per Head: No cost per head. $3000 house rental minimum for 2 hrs. $500 for each additional hour. Additional Information: House is purely a venue, all vendors (caterer, tables, chairs, etc.) must be booked separately. Unique Elements: Located on the most fashionable corner, St. Louis at Royal, the hotel has received the Four Diamond luxury award for the past 31 years and has earned the Pinnacle Award for meeting services. Additional Information: Cannot book the courtyard for ceremony only, have to have reception as well. in the event of rain, the wedding is moved into the ballroom. 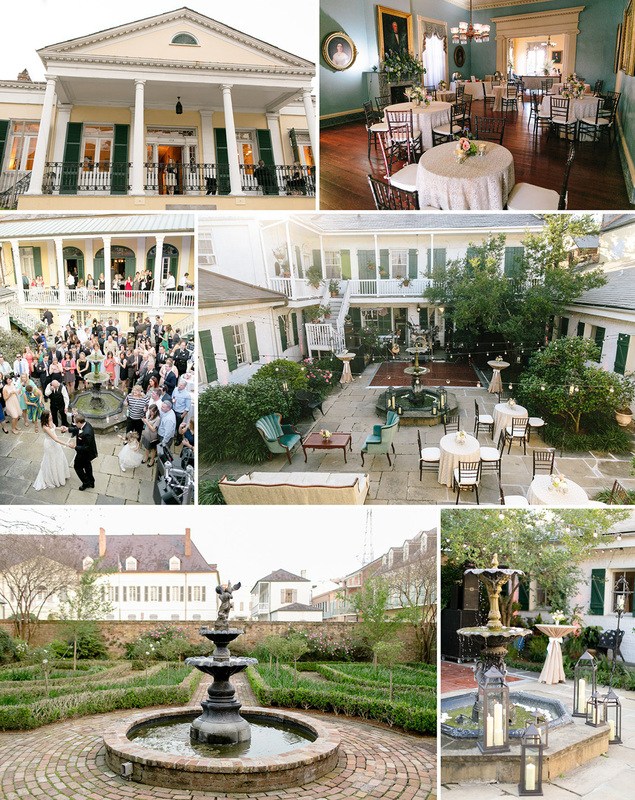 Unique Elements: There is more greenery than any other courtyard in the Quarter, and there is a beautiful gazebo to get married under. 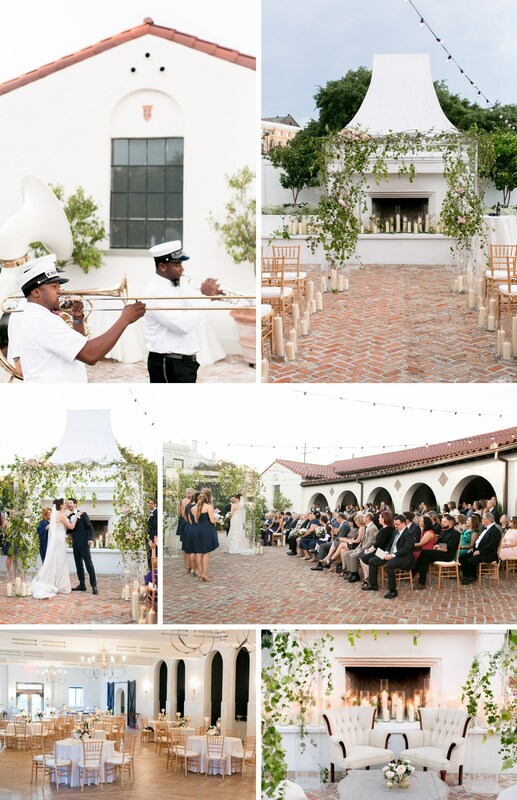 Additional Information: Courtyard is reserved for ceremony only, price to rent is $3000 if the reception is at the Ritz, or $5000 if reception is elsewhere. Unique Elements: Constructed in 1795 by the great grandfather of Edgar Degas, the famous pink building once housed the Louisiana State Bank, served as a private residence frequented by President Andrew Jackson, and was home to eccentric chess master Paul Morphy. Additional Information: Tent rental is available for all inclusive price of $2750. 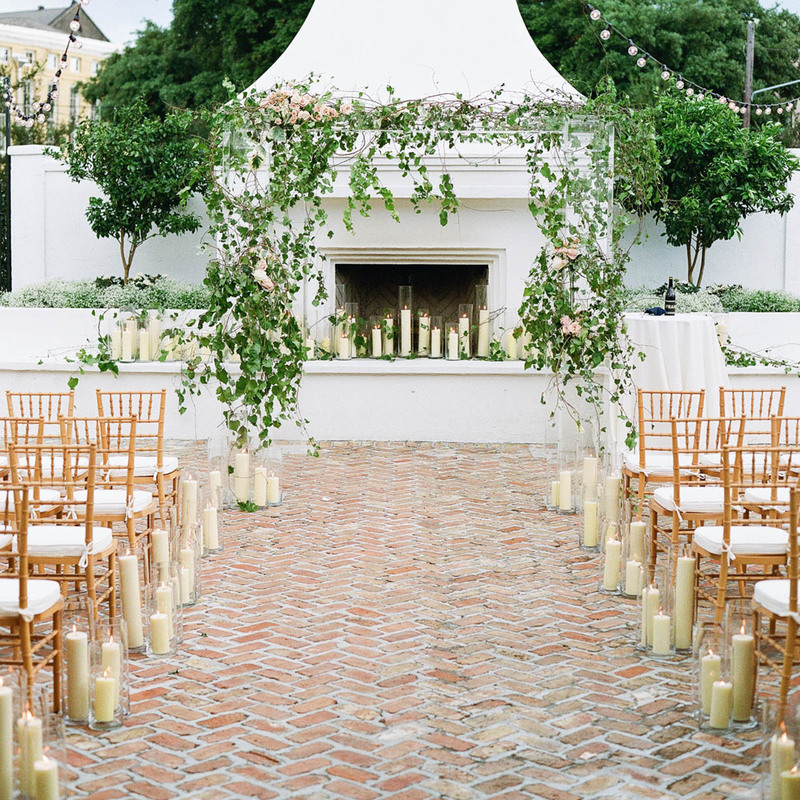 Capacity: A ceremony in the courtyard can hold 250 guests seated, or up to 400 with a mixture of seated and standing guests. Unique Elements: Large outdoor fireplace. 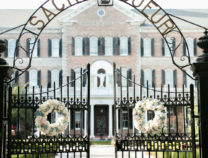 Located in the heart of the Lower Garden District facing Sophie B Wright Park. Built in 1931, Il Mercato is a Spanish colonial style building designed by prominent local architect Sam Stone and originally constructed as a neighborhood market. Cost Per Head: no cost per head, $8,000-$15,000 to rent property. Additional Information: They do not cater or have a bar, so the price to rent the venue is strictly for the property. The price to rent the tents as a rain plan range from $600-$1500. The property is approximately 75% courtyard space and 25% indoor. 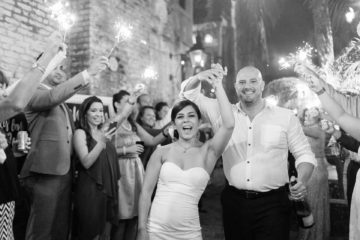 Cost Per Head: Packages starting at $75 per person. Capacity: More information coming soon! 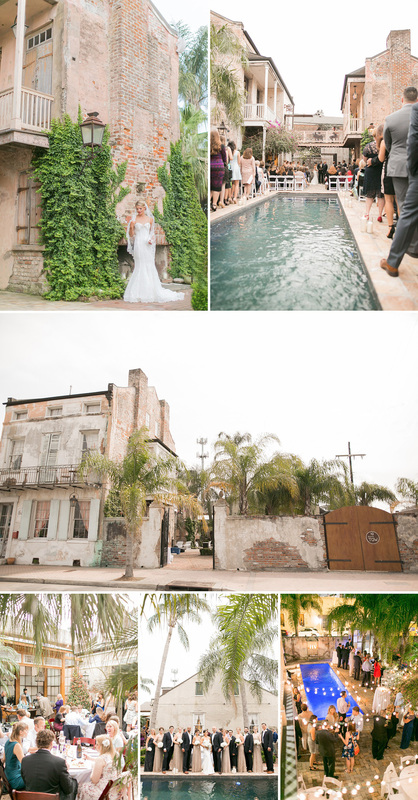 LOVE the setting — the building has a lot of history, and there is a wonderful courtyard in the back. Why wait for a crowded table at Du Monde when you can enjoy your beignets in a relaxing courtyard here listening to live Jazz?